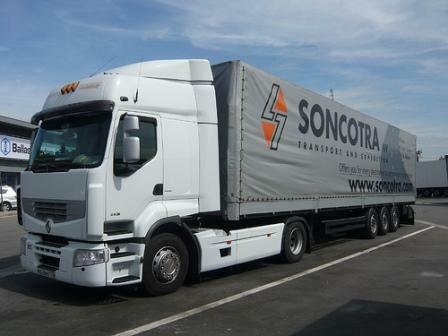 SONCOTRA, Refrigerated transport, Groupage services, Road transport - logistical services, on EUROPAGES. 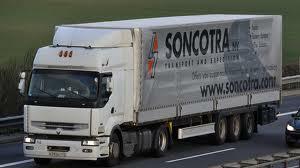 Soncotra specializes in international road haulage to and from the countries of Eastern Europe, the CIS and the Balkans (specializing in Russia). Our fleet of trucks with on-board satellite systems and lengthy experience with Eastern European subcontractors, ensures we can respond to all your transport and logistics requirements. 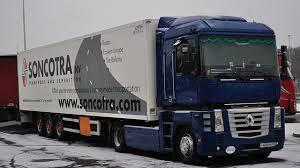 Soncotra also provides intermodal solutions, for normal and container transport. If necessary we also provide maritime or air transport. Soncotra is specialized in international road transport from and to Eastern Europe, the CIS (specialty Russia) and the Balkans.